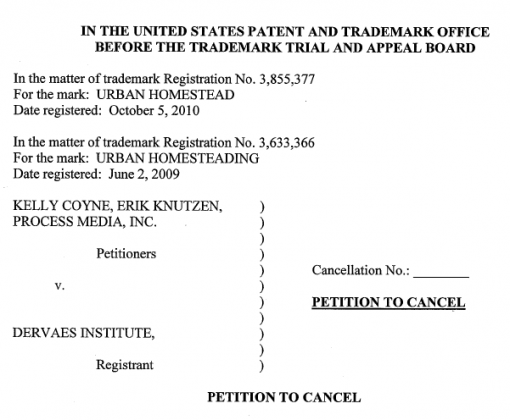 The people who received bogus trademarks for century-old common phrases, and used that trademark to threaten us and many others, will have two trademarks challenged by the Electronic Frontier Foundation (EFF) and collaborating attorneys at Winston & Strawn LLP. 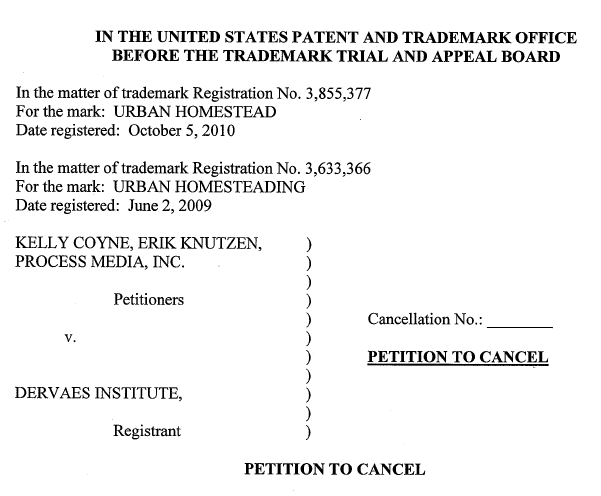 The trademarks in question are “Urban Homesteading” and “Urban Homestead,” title of the beloved Process Media book.Â Â Both EFF and Winston & Strawn are representing Process Media and authors Kelly Coyne and Erik Knutzen pro bono! Never before have I loved attorneys so much for their kind hearts, hard work and generous intent. Read the PDF below. It’s all an amazing thing. You can also read the EFF press release here. Glory Be! Download theÂ legal petition here. In other news, the chickens at Feral Acres have been moved outdoors. Check out wolfdog Loki watching over them below.